say hullo to the new Freshlook girl! imma heading down to their office tmr to sign the contract! i've been a fan of coloured contact lenses since i was primary 6! 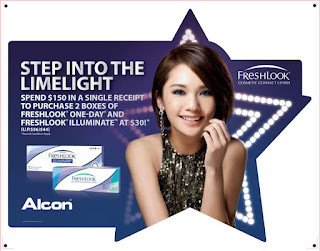 FreshLook ColorBlends, FreshLook One-Day and FreshLook Illuminate lenses!!! say hi to pretty eyes!